Patricia Edmonds has worked as a writer, editor, co-author and communications consultant for more than three decades. At National Geographic Magazine, she is senior director of short form editorial, and oversees the creation of news and feature content for National Geographic print and digital platforms. She also writes Basic Instincts, a monthly essay on animal reproduction. A veteran of digital, newspaper and magazine journalism, Patty previously headed the online news operation at NPR.org, where she led an overhaul of the system that translated NPR radio journalism to the web. As a freelance writer and editor, she has partnered with national and international organizations, book authors, public speakers and other thought leaders to develop, refine and deliver their messages to a wide variety of audiences across multiple platforms. Patty is principal at Patricia Edmonds LLC. Here is her full bio. Patty has created content for national and international organizations including the World Bank, and has written texts to be displayed in the museum at the National September 11 Memorial & Museum at Ground Zero in New York City. In addition to NPR, Patty has worked for USA TODAY, USA WEEKEND Magazine, the Knight-Ridder Newspapers Washington bureau and the Detroit Free Press. She has reported from Europe and Asia as well as across the United States, and has written for periodicals ranging from Washingtonian, AARP.org and interest.org to Woman’s Day, Preservation and Southern Accents. 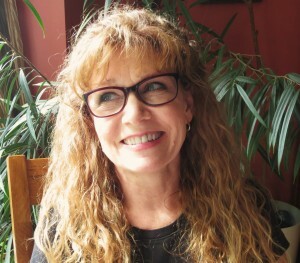 As an online executive and editorial director, Patty devised content strategy, assigned and edited content, and developed and supervised contributors. As a consultant, she has led strategic communications planning and research projects for foundation, non-profit and academic groups. As a trainer, she has taught and advised communicators in a variety of settings, including seminars for former Soviet-bloc journalists in the Baltic States, workshops across the United States for the National Press Foundation, and online tutorials for the journalism training organization The Poynter Institute.